One of the inconvenient truths for Iranian regime president Hassan Rouhani has been the growing irrelevance of the Iran lobby and its inability to drive the narrative in the U.S., especially among leading media outlets. Where once loyal allies such as Trita Parsi of the National Iranian American Council were common fixtures on CNN, NPR and the New York Times, they are now largely relegated to small, progressive blogs and websites. Much of that has been due to the revelations over the years of the existence of the Iran lobby and its cooperation with the Obama administration to create an “echo chamber” in support of passing the Iran nuclear deal and its ties to the Iranian regime through the work of investigative journalists and lawsuits. Iran itself didn’t help with its long support and intervention in the bloody Syrian civil war and sectarian fights in Iraq and Yemen that have claimed tens of thousands of lives. Neither did the election of Donald Trump as president; who took a much dimmer view of the regime’s claims towards moderation and has all but ignored anything the Iran lobby says. All of which may explain why the regime has decided to put Rouhani out in front aggressively shilling a moderate/hard line on topics ranging from the economy to recent protests in effort to reinforce the illusion of moderation it once projected. It’s important to remember that this is really what Rouhani was elected to do in the first place. His position lacks any real substantive power within regime since he does not control the Revolutionary Guards Corps, nor its Quds Force. Neither does he wield any power over the paramilitaries that brutally enforce morals codes on the people or the religious courts that are often used to sentence and imprison Iranians by the thousands. Which is why the original messages put forth by regime supporters such as Parsi and the NIAC that Rouhani’s election was a sign of a seismic shift within the regime government weren’t worth much more than used toilet paper. As a prophet, Parsi falls somewhere between David Koresh of the Branch Davidians and the Weekly World News. So, while Rouhani was all sweet and moderate, behind his words were the real iron fist of a regime unwilling to bend or compromise or deny itself the ability to stifle dissent or control its own destiny. Add to that statements made by two Iranian-backed Shiite militias in Iraq that demanded the full withdrawal of U.S. forces from Iraq in order to allow Iran a dominant position as the only foreign military power within Iraq. Kataib Hezbollah, a more militant, secretive and anti-American group, repeated threats to attack US forces. “We are serious about getting the Americans out, using the force of arms because the Americans don’t understand any other language,” its spokesman, Jaafar Al-Husseini, told Beirut-based Al-Mayadeen TV on Monday evening. Kataib Hezbollah has strong links to Iran’s Revolutionary Guards Corps and has threatened to attack US forces several times in the past, describing their presence as an occupation. But what has Rouhani most troubled, as well as the Iran lobby, is the persistent protests by ordinary Iranians that are not going away, no matter how many are imprisoned. That is what concerns Rouhani and the mullahs the most; that this organic and natural protest movement will continue to spread and take deep root within Iran and pose the most significant threat to their rule. 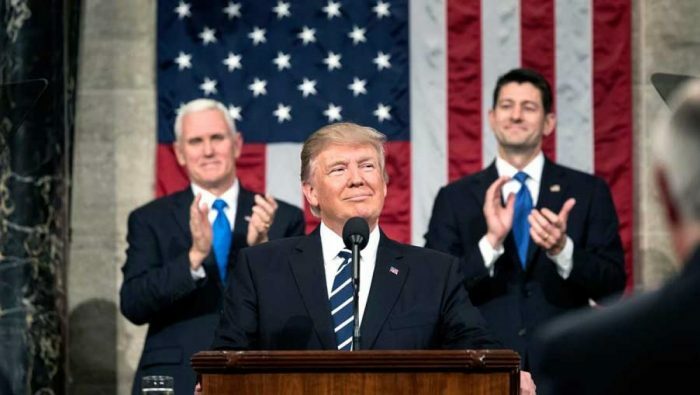 President Donald Trump delivered his first State of the Union speech in which he went through a laundry list of domestic policy achievements as all presidents are wont to do. As expected, the speech will generate much debate and fierce support and opposition, but for our purposes, we are more interested in the reaction of the Iran lobby to his specific comments on the rogue regime in Iran. President Trump’s comments were a stark contrast to his predecessor’s efforts to tout diplomatic overtures to the mullahs in Tehran as a means to cajole them into submission; ultimately failing entirely. Whereas President Obama took nearly a week to toughen his talk after the brutal suppression of protests over the disputed 2009 presidential election in Iran, President Trump opted to embrace protests in Iran even as they broke out on the streets of cities throughout Iran. President Trump’s actions also stand in opposition to the key messages and slogans endlessly uttered by the Iran lobby and some of its chief leaders such as the National Iranian American Council which always sought to deflect any potential criticisms of Iran or its theocratic leadership. The NIAC’s Trita Parsi wasted no time in jumping up to attack President Trump over his support for Iranian protestors. On his Twitter feed, which people should look at just for the Hollywood-like pats on the back he gives himself over his new book, Parsi tried to turn the president’s comments away from the legitimate protests in Iran towards his immigration ban to halt the flow of terrorists from countries that support terrorism. “No Mr. Trump, you did not stand with the people of Iran when you banned them from visiting their American relatives in the US, nor when you tried to turn legitimate protests against the Iranian government into a tool for your Saudi-sponsored push for war…” Parsi tweeted. It really is amazing how Parsi is able to cram so much misinformation in less than 140 characters. He accuses the president of supporting the protestors in Iran as a pretense for some Saudi Arabian plan for war against the Iranian regime. Of course, Parsi neglects to mention that it was Iran’s intervention in the Syrian civil war and the Houthi rebellion in Yemen that brought it into direct conflict with the Saudis. It has always been the mullahs in Tehran that have destabilized the Middle East through their intervention and use of the Revolutionary Guards and Quds Forces to subvert and attack their neighbors. And Parsi and his colleagues at the NIAC have always stood by them and defended them against attacks; diplomatic or journalistic. Ryan Costello of the NIAC, sent out a similar tweet attacking President Trump on the immigration ban. Fortunately, no one seemed to be listening with only two retweets five hours after the speech. Therein lies the problem confronting the NIAC and its fellow travelers in the Iran lobby: fewer and fewer people seem to be caring what it has to say. With a hyperactive Twitterverse exploding with commentary about the president’s speech, Parsi’s tweets and those of his NIAC’s cohorts garnered little social media traction. An odd situation considering how their profiles boast of thousands of followers. One might wonder if Parsi and his colleagues bought their followers from social media firms such as Devumi as recently reported widely of similar scams by several noted celebrities. While Parsi claims to have over 71,600 followers, the guy can only get 12 retweets on his anti-Trump tirade? While Parsi has always had a problem with generating fake news, he seems to be having trouble generating any interest out his Twitter followers except by click-baiting profiles that only retweet such as @sabengel4 which seems to have generated an amazing amount of retweets for Parsi, but not authored one original tweet. This growing isolation can be seen in the decidedly less than ample access the NIAC seems to enjoy from mainstream media outlets which carry fewer and fewer editorials and opinion pieces authored by Parsi and his colleagues. It seems the only places Parsi can get an audience is only when he bashes President Trump on issues such as immigration on progressive media outlets or blogs or his annual appearance on Russia Today. In many ways, Parsi is becoming the very thing he seems to despise the most as evidenced by his ham-handed self-promotion over his latest non-bestseller: irrelevant. Trita Parsi, the head of the National Iranian American Council, has been hard at work pushing the mythology of how the U.S. and President Donald Trump are really aiming for all-out war with the Iranian regime. His beating of the war drum is nothing new. He’s been doing it ever since the administration of President George W. Bush and while he found a receptive audience during President Barack Obama’s tenure, he’s finding it tough sledding these days. It’s notable that he does admit—finally—that the Iranian regime has been demonizing the U.S. for the past four decades with “Great Satan” characterizations and other false claims, but that is just cheap throwaways to help in aiding his perception of being a “moderate” when in fact all he cares about seems to be preserving a badly flawed nuclear deal. Of course his top myth is about that same nuclear deal. Parsi posits that it’s a myth that the deal only delays the inevitable building of a nuclear weapon by the mullahs. 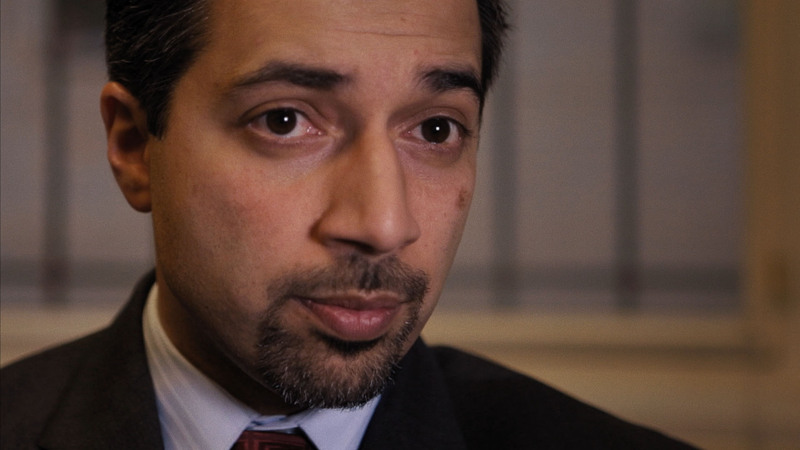 While Parsi admits that restrictions on advanced centrifuges and other technology to make weapons-grade uranium expires after only 10-15 years, he argues that inspections are enough to tamp down the threat. The real myth from Parsi is that inspections alone are enough to stop the mullahs. He neglects to mention how prior inspections regimens failed to halt Iran from beginning a nuclear program in the first place and in the case of North Korea, inspections failed spectacularly. Parsi’s second myth is that killing the Iran nuclear deal would not help the protestors in Iran. He argues that killing it would actually hurt protestors striving to break free from the rule of the mullahs. The reality is that Parsi’s “do-nothing to rock the boat” advice goes all the way back to the fierce election protests in 2009 in which the Obama administration stood on the sidelines as regime police mercilessly killed scores of protestors. 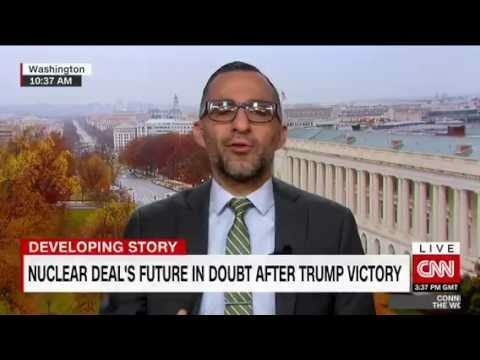 The reality is that killing the deal would cement for Iranians that the nuclear deal was a complete failure and that Hassan Rouhani basically lied to the Iranian people when he promised reforms and economic improvements with its passage. In fact, the billions Iran received in sanctions relief went to fund war efforts and line the pockets of the ruling mullahs and Iranians know it and they are pissed. Parsi’s silly myth is that the Green Movement was a failure. He argues that it, in fact, was a success and helped usher in an era of liberalization in Iran. He even says that Rouhani’s election is proof of that liberalization. If he wasn’t so serious, his claim would be hilariously funny. Rouhani’s administration has made his predecessor’s reign look like a picnic. More Iranians have been executed under Rouhani than at any time since the Islamic revolution. Iran has been plunged into wars in Syria, Iraq, and Yemen and it accelerated the spread of radical Islamic terrorism across the globe. Furthermore, the Iranian people have no illusions about any reform and/or moderation within the mullah’s hierarchy. This could well be hear in the slogans of the protesters chanting: “Hardliners, Reformers, game is over”. Parsi’s last myth is that “Iranians hate Americans.” Another ridiculous idea to try and stir controversy since Parsi knows full well that Americans don’t hate Iranians and Iranians don’t hate Americans. The conflict has always been about Iran’s mullahs and the ruling theocracy and the Revolutionary Guards they control. The frustration of American presidents and Congress has always been embodied by people such as top mullah Ali Khamenei and the vast network he controls that does his bidding. Parsi tries mightily to frame this debate as American leaders provoking Iran and beating a war drum with heavy-handed views aimed squarely at ordinary Iranians. The reality is far and away nothing close to what Parsi tries to paint. The myths he cites are in fact not myths Americans have about Iran. In fact, Americans view Iran through a much more discerning and educated view. They have had two years since the Iran nuclear to judge Iran’s mullahs on their actions; not their promises and have found them wanting. The trail of destruction left behind by Iranian regime’s policies are proof enough. The smuggling of weapons into Yemen and the incitement of a revolution to topple a lawful government and push Saudi Arabia to the brink of war. The wholesale slaughter of Syrians while supporting the criminal regime of Bashar al Assad and producing the largest refugee crisis since World War II. These are just some of the actions taken by the Iranian regime that has put Parsi’s myths to rest and instead provided living proof of why his fake news is no longer finding an audience among the American people. Back in the height of the Cold War, the saying “the Russians are coming!” often filled the political dialogue of the day with the kind of anxiety that came naturally at a time when everyone worried about building fallout shelters and conducting duck and cover drills at school as the old Soviet Union placed nuclear missiles 90 miles offshore in Cuba. The Cuban missile crisis precipitated the closest episode to an all-out nuclear war the world had ever seen and hoped would never see again, but now the specter of confrontation along the U.S. coastline is again raising its ugly head as the Iranian regime announced plans this week to send a naval flotilla to the Gulf of Mexico in a show of power designed to thumb the mullahs’ collective noses at America and its allies. Following orders from Iran’s top mullah, Ali Khamenei, the newly installed commander of its navy, Rear Adm. Hossein Khanzadi, announced a fleet of Iranian warships would soon be making their way into the Atlantic Ocean, despite what Iran claims is opposition by U.S. officials. 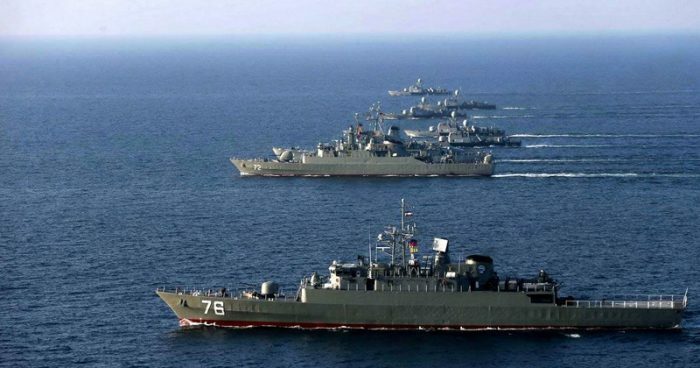 As Iran continues to deploy military assets to Syria, Yemen, Lebanon, and other Middle Eastern hotspots, its navy is placing a renewed focus on displaying force in international waters, according to the military leaders. The latest military displays follow a series of provocative moves by Tehran aimed at rattling U.S. officials in the Trump administration, which has increasingly sought to confront Iran’s regional intransigence. Any Iranian presence in the Atlantic Ocean is certain to put U.S. military leaders in edge, according to the Washington Free Beacon. The naval maneuver is designed to bolster Iranian influence with Latin American nations hostile to the U.S.; namely Venezuela and Bolivia. More importantly, the exercise is designed to provide a propaganda boost at a time when the mullahs are clearly beleaguered back home; wracked with the devastation caused by massive earthquakes along the Iran-Iraq border and a moribund economy that continues to drag along in stark contrast to the promises made by Hassan Rouhani in the wake of the nuclear agreement which lifted economic sanctions. Iranian efforts to sail its warships into the Atlantic Ocean coincide with a call by Khamenei to boost the regime’s military presence in international waters. “The navy is in the frontline of defending the country with important regions, such as Makran, the Sea of Oman, and the international waters, in front of it,” Khamenei said in Tuesday remarks celebrating Iran’s Navy Day. “Presence in free waters should continue similar to the past,” Khamenei added ahead of a meeting with Iranian military leaders. Khamenei further disclosed that Iran is working to produce more advanced military equipment. “The navy is more advanced and capable compared with 20 years ago, but this level of advance is not convincing; and a high-speed move should be pursued with determination, high morale, lots of efforts, innovation, and action,” he was quoted as saying. The Iranian regime has often resorted to military displays as a means of diverting attention from disasters or setbacks at home; relying on jingoism to cover up inadequacies in the regime’s handling of the economy and widespread dissent at home. The massive influx of cash the regime received as a result of the nuclear deal has helped solidify and steady its military at a time when intervention in the Syrian civil war nearly bankrupted the Iranian economy. The diversion of fresh capital from the needs of the Iranian people and boosting the economy towards the regime’s ballistic missile program and its military adventures abroad—including this jaunt to the other side of the globe—no doubt bolsters the mullahs, but does little to improve the lives of ordinary Iranians. But then again, the regime has announced the voyage which is a far cry from actually pulling it off with its limited resources. The Iranian navy has famously never been a blue-water navy, content to ply the shallow Persian Gulf and hug the coastlines around the Arabian Sea and Indian Ocean and play games of cat and mouse with U.S. Navy warships. Back in 2014, the last Iranian navy commander, Rear Adm. Habibollah Sayyari, said that Iran planned to send ships near the U.S. to counter the American presence in the Persian Gulf. Sayyari later said the sailings had been canceled “due to a change in schedule.” No other effort to send Iranian warships on such a voyage have ever been mounted until now. Of course, that is not to say the regime cannot accomplish the task, but it does point out doubts as to the credibility of anything the mullahs announce. What is clear though is that the regime is desperately casting about for anything to take attention away from its growing domestic problems at home. The Iran lobby, led by the National Iranian American Council, has been busy focused on domestic U.S. policy such as the fight over immigration policies and even focusing on the shooting death of a local Iranian-American in a traffic stop; anything to avoid talking about what is happening in Iran today. It is ironic, that during the negotiations for the nuclear deal, NIAC leaders such as Trita Parsi talked almost non-stop about conditions in Iran as a result of international sanctions, but since then have been largely silent—even as conditions worsen. The disparity between reality and fiction under the Iranian regime and its allies is as wide as the Atlantic Ocean. With Thanksgiving looming in the U.S., millions of Americans will gather around family dining rooms to enjoy holiday traditions such as consuming enormous quantities of food, watching football games on television and parents chiding their children for spending all their time posting on social media or surfing the internet. It’s a time that reinforces the American traditions of family and freedoms that many others around the world do not get an opportunity to enjoy; namely ordinary Iranians living under the brutal repression of the Iranian regime. Since the ruling mullahs stole the prospect for democracy away from the Iranian people after the Shah was deposed and the revolution turned into a religious theocracy, Iranians have simultaneously lived two lives: One in the public spotlight where the mullahs demand obedience to their strict religious views unable to express themselves; while they live another life in secret where Iranian women ride bicycles and teenagers post selfies on Instagram disobeying strict dress codes. The normal everyday pleasures and freedoms Americans take for granted are almost universally restricted in Iran under the rule of the mullahs, which is why it has been important for American policy to make a distinction between the plight of the Iranian people and the policies of the oppressive regime. The Iran lobby, led by such staunch advocates of the regime such as the National Iranian American Council, have always sought to portray American policies towards Iran as being harmful and punitive towards the Iranian people. This was never more exemplified than in the long debate over U.S. sanctions aimed at Iran because of the regime’s support for terrorism and its secret nuclear development program. NIAC leaders such as Trita Parsi and Reza Marashi went out of their way to try and link the suffering of the Iranian people of the alleged hardships imposed by these economic sanctions. Fortunately, history has a way of clearing up the facts from the fiction and in the case of the Iranian regime’s conduct, the last several years have shown the truth about the regime’s oppressive policies and the dramatic impacts it has had on the lives of its citizens. Nothing demonstrates that more clearly than the complete ineptitude with which the mullahs run their government. Iran has regularly placed near the bottom of rankings for lack of transparency in government and public corruption. The mullahs and their allies in the Revolutionary Guard Corps control virtually all of the major industries and siphon enormous amounts of profits into family bank accounts to live lavish lifestyles or divert it away from the economy for proxy war efforts in Syria, Lebanon, Afghanistan, Iraq and Yemen. The draining of capital has slowed the Iranian economy to a snail’s pace over the years and widened the gap between the privileged and the impoverished. A startling and shocking photographic essay recently revealed the depths of Iranian misery in showing how many of Tehran’s poorest and most destitute have resorted to making homes in the empty plots at nearby cemeteries. The mismanagement of water policy has led to record droughts and the evaporation of historic lakes and turned verdant farmland into desert wastelands, while the lack of available jobs to women has wiped out nearly half of the available workforce for a country struggling with deep unemployment; especially among young people who are often drafted to serve as cannon fodder in the mullahs’ wars. Even recent natural disasters such as the massive earthquake striking the Iran-Iraq northern border killing over 530 people and wiping out 30,000 homes are a testament to how badly run the regime’s emergency response is to this day. Seven days after the earthquake took place, regime’s top mullah, Ali Khamenei, visited the devastated areas and expressed that he was “not satisfied” with the response and said officials needed to “redouble their efforts.” This was considered widely an attempt to respond to the wide spread anger against the mullahs’ carelessness in the aftermath of the earthquake. His remarks are ironic given how he personally controls much of the Iranian economy, as well as personally selects many of the top provincial officials who have so far badly bungled the disaster response. In many ways, the Iranian people ought to be viewed with admiration since they have suffered incredibly, but still find ways to voice their discontent in a myriad of ways that displays the optimism and hope they all have for a free Iran in the future. In a nation where public dissent of any kind is often a sure sentence to prison and even a public hanging, ordinary Iranians resourcefully find ways to express their dissatisfaction. During the recent presidential elections which unsurprisingly saw Hassan Rouhani re-elected, most Iranians simply stayed away from polling places to express their unhappiness; forcing the regime to manufacture fake ballots to justify election returns. Some of the more daring among the population even took to unfurling banners and signs on overpasses and the sides of building expressing support for banned leaders of the outlawed Iranian resistance movement such as Mrs. Maryam Rajavi of the National Council of Resistance of Iran, an umbrella group comprising several dissident groups. Ultimately, the message that Americans will celebrate this week with Thanksgiving, may soon be a message that will resonate throughout Iran when a future comes that allows for peaceful regime change and the downfall of the mullahs at the hands of the Iranian people who have grown tired of their restricted freedoms, unpleasant economic future and constant war-footing. 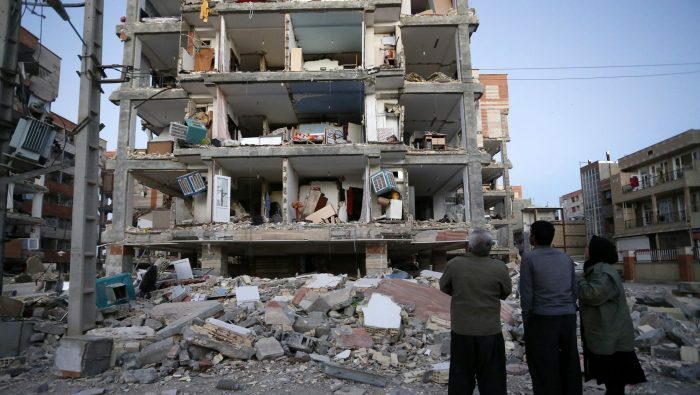 This past Sunday night a massive 7.3 Richter magnitude earthquake struck the mountainous border region between Iran and Iraq, shaking many provinces and killing over 530 people and leaving tens of thousands homeless as winter weather conditions set in. In terms of power and sheer destructiveness, this earthquake surpassed the recent temblor that hit Mexico City last September. For most people around the world, televised scenes of devastation, heartbreak and loss caused by these natural disasters are common fare on news programs, as well as appeals for help to the international community. But in Iran, under the strict rule of the mullahs, such normally ordinary actions are often difficult at best and impossible at worst as the Iranian regime seeks to project an air of competent government response, while struggling with massive incompetence that costs lives daily. It is the sad testimonial of ineptness that often runs rampant within the theocratic state that values global reputation more than actual results on the ground. What is remarkable given this history of seismic disaster is how utterly incompetent the regime has been in pushing tougher building standards and inspections to protect its citizens from these kinds of devastating losses. In similar earthquake-prone areas such as Japan and California, strict building codes have historically minimized loss of life, property destruction and disruption to infrastructure and public services. Even massive quakes measuring over 6 on the Richter scale often leave local residents yawning with minimal disruptions. Why then is Iran so different? Much of the fault lies at the footsteps of the mullahs who have built a government based on intimidation and fear and riven deep with corruption, nepotism and lack of transparency. Agencies that track transparency and government corruption have consistently ranked Iran at or near the bottom. Most ordinary Iranians are all-too aware of the corruption that infests all levels of Iranian society where the families of powerful mullahs or members of the Revolutionary Guard Corps have access to capital and favorable influence through the myriad number of shell companies they control that cover most of the Iranian economy. What this often means is the pursuit of profit to skim and line their family bank accounts often takes precedence over the need to spend more on construction materials to build earthquake resistant and fire-safe buildings. The history of shoddy construction and lax accountability is well documented in Iran with a high-rise tower recently catching on fire and collapsing last January killing scores of firefighters inside. The building was owned by the Mostazafan Foundation, an extension of the IRGC, which apologized for its role in the building’s collapse, but no officer or member of the foundation was ever arrested or put on trial. A report issued the following April stated that regime ministries had failed to enforce a reported 22 violations of national building regulations leading up to the fire and collapse. With this weekend’s earthquake, the regime has again demonstrated how it values its own grip on power rather than show any signs of weakness as it declared it would not accept aid offered from other nations even though an estimated 30,000 homes were damaged or destroyed. “We are hungry. We are cold. We are homeless. 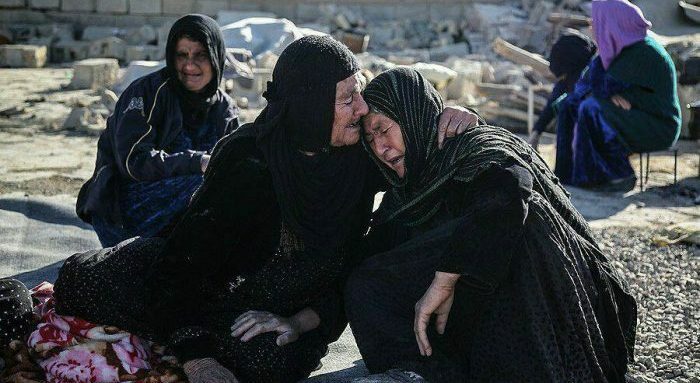 We are alone in this world,” a weeping Maryam Ahang, who lost 10 members of her family in the hardest hit town of Sarpol-e Zahab, told Reuters by telephone. Her story is all-too common in the Iranian regime and demonstrates the undercurrents of deep anger, frustration and desperation that has been seeping into the Iranian population for years now; hungry for regime change and more freedom and accountability. The torrent of angry and desperate pleas for help have flooded social media as journalists reporting from the disaster area have shown interviews of homeless residents and local officials blasting the relief effort and complaining of little media attention from the tightly controlled state media. Even the hardline Fars news agency posted a video of angry residents in Sarpol-e Zahab, complaining of what they described as a lack of attention and news coverage of their plight. “People need water and food. Help us,” a man says in the video from the town, which is located in a largely Kurdish-populated area. “There’s not even a good team covering the news about us, and there’s no one removing the debris, people here are not part of Iran? Are we not part of this nation?” another man asks. “A gentleman in a suit comes here and tells the media that all has been resolved,” alleged another. Interestingly enough, the Iran lobby led by the National Iranian American Council took the opportunity to use the natural disaster to take a swipe at the economic sanctions levied against Iran for its missile program and support for terrorism by blaming the lack of aid flowing to the region on sanctions. The NIAC conveniently ignores the regime’s refusal to let in any foreign assistance and its own ineptitude in handling the response. In an interview with Al Jazeera, Reza Marashi of NIAC, said he expects Iranians to rally behind the country’s leadership amid the disaster. “I think you are going to see a more robust government response in the coming days,” Marashi told Al Jazeera. Clearly Marashi got it wrong. Ever since the Iranian revolution that deposed the Shah and installed an Islamic theocracy in Tehran, the ruling mullahs have invested heavily in a state-supported hate machine designed to gin up fierce hatred of the U.S., which typically reaches a crescendo on the anniversary of the 1979 U.S. Embassy takeover. Last Saturday marked the latest iteration of a heavily choreographed spectacle designed to communicate Iranian hatred of the U.S., but also to divert the attention of the Iranian people away from the ever-growing mountain of problems they are struggling with under the mullahs’ rule and towards a perceived common enemy. For the last nearly four decades, the mullahs have used the anniversary as the culmination of weekly and monthly demonstrations that include the now ritual “Death to America” chants and the parades across painted American flags and posters plastered on city walls mocking American political leaders. The protests and observances have taken a different tone and edge over the years though; ceasing to be filled with vitriol by the Iranian people and carry more of a resigned air matched only by skies increasingly polluted by lack of regard by the mullahs for the environment or the health of the Iranian people. For the mullahs these events commemorate a rare victory when hundreds of extremist regime related militant students (The very same militants that later formed the “Islamic Revolutionary Guards Corps”, IRGC) took 52 Americans hostage for 444 days in an event that helped cement the mullahs in power as they used the event for its propaganda value to legitimize the theocratic state they wanted to build; thereby stealing the promise of democracy ordinary Iranians had hoped for after the downfall of the Shah. The mullahs learned from that singular event which is why they have carefully crafted a government built on a state-driven hate machine that attacks not only the U.S., but also other enemies such as the Sunni Arab nations such as Saudi Arabia, as well as perceived enemies from within like the Iranian resistance movement. That machine is comprised of state-controlled media encompassing newspapers, television networks, bloggers, social media and pretty much every other avenue of communication within the regime. It is backed by the thuggery of the Islamic Revolutionary Guard Corps and the paramilitaries that enforce the dreaded “morals codes” that oppress the Iranian people. Together with the Islamic religious courts and police, they work in concert to tightly orchestrate these observances and ensure obedience from the Iranian people. In this aspect, the Iranian regime acts like a mirror image of the cultish North Korean dictatorship that forces citizens there to treat their leader as a deified entity. While top mullah Ali Khamenei may not aspire to godhood, he certainly relishes having his wishes obeyed as if he was one. 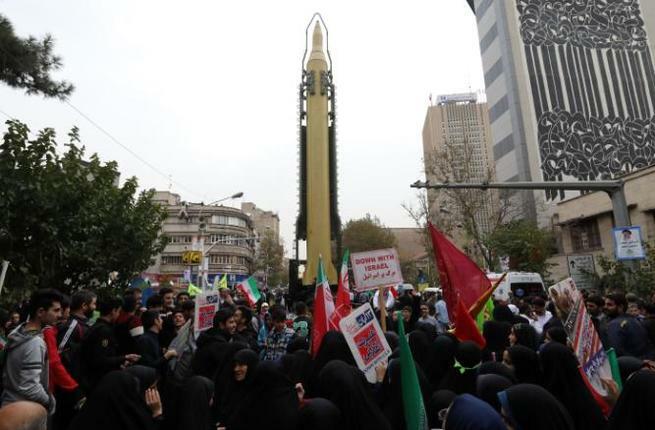 To reinforce the militant aspects of this year’s anniversary celebrations, the Iranian regime’s military rolled out a surface-to-surface Sejjil ballistic missile with a range of 1,200 miles in a show of force. It marks the first time the regime has displayed this particular missile and comes shortly after President Donald Trump moved to decertify the Iranian regime under the current nuclear deal, partly because of the regime’s accelerated missile program. The Fars news agency posted pictures of demonstrators burning an effigy of Trump and holding up signs saying “Death to America,” Reuters reported. Khamenei speaking to the regime supporters urged them to never forget that “America is the enemy”. “To give in to the Americans makes them more aggressive and insolent. The only solution is to resist,” he said. Ali Shamkhani, former chief commander of IRGC and current secretary of the regime’s Supreme National Security Council, addressed the crowd, saying Iran will make any sanctions imposed by the U.S. “ineffective” even as the U.S. targets Iran’s economic, nuclear and defensive power. Shamkhani, alluding to Trump’s threats against North Korea, said even U.S. allies know that Trump “has no power to realize his bluffs, against Iran, too.” He called the U.S. the “eternal enemy” of Iran. The regime needs to continually turn up the volume on the hate meter to continue using force and intimidation to keep the Iranian people in line and Iran in a perpetual state of conflict. The mullahs need to generate fear as a means of control as a way for justifying their increasingly punitive decisions. Entry into the Syrian civil war? Necessary to save the Assad regime and preserve a Shiite ally. Fostering of another civil war in Yemen? Necessary to counter Saudi expansion. Fast tracking a ballistic missile program? Necessary to maintain a threat to the U.S. and Israel. Ultimately though the deepest fears of the mullahs are that the Iranian people will see past these charades and choose a different path for their futures. The Los Angeles Times quoted one such Iranian at the anniversary observances. For the mullahs, nothing would be more of a threat to their rule than the desire of the Iranian people for a normal life, devoid of fear, hate and conflict, where they could live in a democracy and focus on building a better life for their children. It’s the one future that can defeat the Iranian regime’s hate machine. The National Iranian American Council has become one of the most vocal and ardent purveyors of shameless cheerleading for the mullahs in Tehran and has established itself with a solid track record of making statements and promises about future behavior from the Iranian regime only to see virtually all of them proven false over time. Yet, the NIAC’s continued churning of so-called “fake news” still finds a home in some publications and blogs—albeit a shrinking circle from the heady heydays enjoyed during the Obama administration’s policy of appeasing the regime. The latest missive comes from Reza Marashi, NIAC’s research director, who has built an uncanny ability to publish “researched” editorials that are consistently wrong, in Al-Monitor in which he makes the claim that recent actions by President Donald Trump against Iran may have helped Hassan Rouhani. Marashi bases his claim that President Trump’s decision not to recertify Iran in compliance with the nuclear deal, known as the Joint Comprehensive Plan of Action (JCPOA), and sending the matter for Congressional review, has helped fortify Rouhani’s troubled administration because it has rallied Iranian stakeholders against the U.S.
Let’s be very clear on a very important point Marashi ignores: There are no factions within the Iranian regime’s government that are even remotely favorably disposed towards the U.S. This is an Islamic theological state run by clerics that mandate weekly “Death to America” observances, openly and actively fund terrorist groups that target and kill American service personnel in Iraq and Afghanistan, have taken American citizens hostage and held them for ransom, and have built a ballistic missile capability designed to deliver nuclear payloads as far away as Europe and Asia. Marashi also claims that Rouhani and top mullah Ali Khamenei are united in a strategic vision to maintain a unified policy towards the U.S. regardless of whatever the outcome of nuclear deal negotiations. On this point, he is partially correct since Rouhani is the handpicked front man for Khamenei to offer the West a kinder, gentler face of the regime that also tweets in order to build a perception that Iran was a moderate state when in fact it was plotting to massively expand its military operations in Syria, Iraq and Yemen. “Whatever their differences, Khamenei needs Rouhani and his technocrats to repair the damage wrought by former President Mahmoud Ahmadinejad, and Rouhani needs Khamenei to provide political protection while he does so,” Marashi writes. It’s a silly statement to make, especially for someone who purports to be a “research director” since it doesn’t take much research to know that the damage Khamenei needed for Rouhani to repair was an Iranian economy crippled by sanctions aimed at its secret nuclear program and the enormous drain on its treasury by bankrolling the Assad regime’s desperate war to hold onto power in Syria. Marashi makes it sound that Rouhani is merely trying to rebuild an economy hurt by the mismanagement of the Ahmadinejad administration, when in fact Khamenei was desperate to gain an injection of billions of dollars in fresh capital to stave off a total collapse of the economy and consequently the Islamic state. “Since entering office four years ago, Rouhani has maintained arguably the most diverse and inclusive political coalition in the 38-year history of the Islamic Republic,” Marashi adds. This is one of the more astounding claims he makes since the Iranian regime allows no dissident political activities, and openly and aggressively rounds up dissenting voices and tosses them into prison, as noted by the harsh crackdown of journalists, artists, students and others by the Rouhani administration prior to parliamentary elections. The contention Marashi makes that Rouhani was somehow in jeopardy has never been real in fact since Rouhani serves only at the pleasure of Khamenei and it is up to the supreme leader to decide when his usefulness is at an end. For as long as Khamenei perceives Rouhani can maintain the fiction of a more moderate Iran then Rouhani and his allies in the Iran lobby will continue to push their false messages. The strategy Rouhani employs that Marashi defends in outlining support for the JCPOA had little to do with nuclear power and more with lifting economic sanctions to save the regime with a fresh infusion of capital. The fact that the Obama administration were eager to do a deal with little consequences attached to its support for terrorism, abysmal human rights and the build out of ballistic missiles only served to reinforce the perception among the mullahs that Rouhani was useful in keeping up the perception that Iran was genuinely interested in becoming a “moderate” player when in fact it was only seeking massive piles of cash. Marashi does not credit the Obama administration’s unsavory willingness to kowtow to the regime and even arrange for a midnight flight of pallets stuffed with cash sent to Tehran on the eve of the agreement as evidence not of Rouhani’s acumen, but rather American miscalculation that has been borne out over the last two years. The only kernel of truth Marashi does offer is the idea that Iranians would not blame Rouhani for the nuclear agreement’s failure. The Iranian people would certainly not blame him since they live under a repressive government that punishes contrary thinking with stiff prison sentences and quick trips to the gallows mandated by clerical courts. Marashi also failed to note how under Rouhani, Iran’s pace of public executions set a record-breaking pace pushing it far beyond almost every nation on Earth. It’s no wonder no Iranian would openly blame Rouhani since to do so almost guarantees a prison sentence. 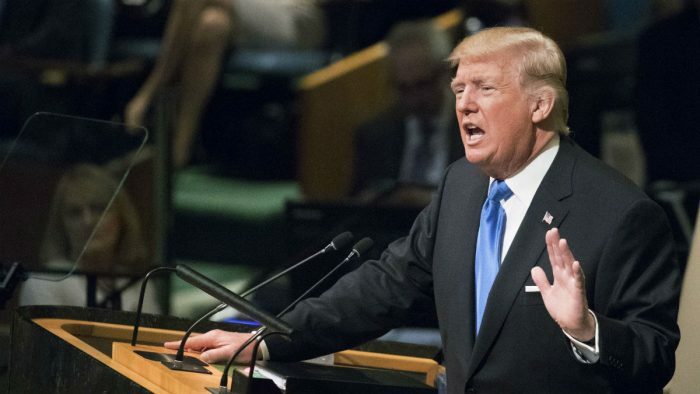 President Donald Trump delivered his first address to the opening session of the United Nations General Assembly and garnered the predictable range of reactions based on whether you support his administration or not. For critics, especially the Iranian regime, his speech was filled with dark imagery that threatened to tear up the Iran nuclear deal, while for his supporters he offered a clear vision of American foreign policy based on conservative values he detailed on the campaign trail. The fallout from the speech has been predictable from the media pundits to think-tank analysts to foreign leaders. From his supporters, such as former House speaker Newt Gingrich, the president’s speech echoed the themes of conservative stalwarts such as President Ronald Reagan, Britain’s Margaret Thatcher and France’s Charles de Gaulle. The president grounded his speech in re-statement of American principles based on the sovereign right of nations to act in their own interests, but so long as they respected the rights of their people and the other nations. He drew a sharp distinction with the few rogue nations that acted to oppress their own people and cause regional and global instability. This was an interesting focus for the president since Iran and North Korea have been at the forefront of state-backing of criminal enterprises, including smuggling arms, aiding the global narcotics trade and supporting a thriving black-market economy. Both regimes have used profits from these illicit activities to fund their respective nuclear and ballistic missile programs. The fact that North Korea licensed its missile technology to Iran and hosted Iranian military and science personnel is proof of the deep relationship between the two regimes; a fact that President Trump finally called out into the open. While many critics have tried to make hay over the president’s emphasis on national sovereignty, they neglected to understand the context of his statements which was strong, independent nations were necessary to forming a more effective United Nations. Weak or timid nations are not going to stand as guardians for international peace and history has taught us that harsh lesson many times from the appeasement of Hitler’s Germany in the 1930s to the collapse of any opposition to a tough Iran nuclear deal. President Trump’s call for sovereignty was also a direct challenge to the Iranian regime’s efforts to create a Shiite sphere of influence from Lebanon and Syria to Iraq and Yemen. His recognition of the mullahs’ territorial appetites also set the stage for the larger debate about the Iran nuclear deal which is the fatal flaws in it in the first place. The argument that critics of the nuclear deal have long made was that it was badly flawed in the first place. It never set restrictions on delivery systems such as ballistic missiles and it never sought to tie Iran’s human rights record or support for terrorism to the agreement. Most glaringly, it did nothing to curb Iran’s appetite for regional conquest as exemplified by the regime’s accelerated push into Syria to support the Assad regime once it was signed. 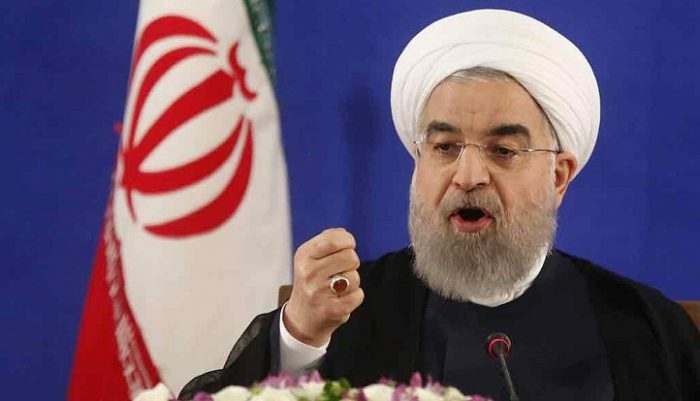 Iran’s Hassan Rouhani himself boasted that Iran’s nuclear program could be restarted in a matter of hours if the deal was torn up by the U.S.; hardly a guarantee of international security. French President Emmanuel Macron said on Wednesday the Iran nuclear deal was not enough given that Tehran had increased its influence in the region and pressed ahead with ballistic missile tests, and offered to mediate between the United States and Iran, according to Reuters. His statements offered more validation for President Trump’s contention that supporting a flawed deal in the first place was no sure pathway to nuclear peace. “Is this agreement enough? No. It is not, given the evolution of the regional situation and increasing pressure that Iran is exerting on the region, and given increased activity by Iran on the ballistic level since the accord,” Macron told reporters in New York. “Let’s be honest, the tensions are on the rise, look at the activities of Hezbollah and Iran’s pressure on Syria. We need a clear framework to be able to reassure regional countries and the United States,” Macron said. Rouhani expanded on his attacks in an interview with NBC News claiming that “no one will trust America again” should the Trump administration walk away from the Iran nuclear deal. It is a silly argument to make since the mullahs in Tehran have never trusted the U.S. no matter who was president. They only viewed the nuclear deal as a vehicle to gain breathing room and relief from crippling economic sanctions and gain a huge financial windfall of billions of dollars they used to fund wars in Syria and Yemen and quickly accelerate their ballistic missile program. Rouhani speaking of “trust” is comical given the Iranian regime’s pathetic record on making grandiose promises to its own people and cruelly breaking every one of them. In fact, Rouhani himself made bold promises of reforms in the regime and expanding the role of women in the government; yet in picking his own cabinet, he did not select a single woman for any senior leadership role and filled it with old, veteran hands of the Revolutionary Guards and Ministry of Intelligence. In many ways President Trump’s blunt assessment of the Iran, North Korea and Venezuela is bold departure from the normal flowery language of the UN and diplomacy, but the world has already seen that over the past two years diplomacy has yielded nothing from those three regimes, especially Iran. It may be time to try a different tack and actually hold Iranian regime accountable. One of the key provisions of the Iran nuclear deal was an agreement to not include so-called “side issues” into the agreement such as the regime’s sponsorship of terrorism or any improvement in its human rights record. The mullahs in Tehran knew they would instantly fail any of those litmus tests and fought hard to keep them out of the agreement, but in doing so they set themselves up for failure down the road when continued abuses would force the U.S. to act in levying new sanctions for terrorism support and Iran’s burgeoning ballistic missile program. The mullahs found themselves stuck between a rock and a hard place. The nuclear agreement did not contain any language prohibiting economic sanctions on non-core nuclear issues per the mullahs’ demands so as the Trump administration and U.S. Congress imposed new sanctions the mullahs were left to cry foul without any basis to stand on. The Iran lobby then went to work trying to stave off sanctions by pushing the message that these additional sanctions would threaten the “essence” of the agreement and cause its collapse leading to Iran building a nuclear arsenal. Trita Parsi of the National Iranian American Council tried to blame President Donald Trump for the potential collapse of the deal and issued a statement that reeked of falsehoods commonly trotted out by the Iran lobby. “It should now be clear that Donald Trump’s moves to violate and hold certification of the Iran nuclear deal in doubt are actively destabilizing the accord. Unfortunately, in response to Trump’s increasingly hostile rhetoric, as well as Congress’ moves to escalate sanctions, Iran is now warning that it has its own options to back out of the deal if the U.S. continues to undermine it,” Parsi said. Let’s be clear: Iranian regime, not the U.S., is responsible for destabilizing the nuclear deal with their bloody war in Syria, efforts to sow insurrection in the Gulf states, and start launching ballistic missiles at a clip rivaling North Korea. The U.S. did nothing to inspire those acts and all those acts began actually years ago and under the Obama administration. Also, the U.S. Congress and American electorate has had the luxury to see how the nuclear deal has turned out after two years and their answer has been overwhelmingly negative. While Parsi may try to affix blame on President Trump, the real culprits are in Tehran. But Parsi didn’t stop there. “We have repeatedly warned that President Trump’s beating of the war drum with Iran, even if confined to rhetoric, in addition to new Congressional sanctions and zero diplomatic outreach, could only produce negative consequences. Iran’s parliament has now voted to increase spending on its ballistic missile program and the IRGC in direct response to new sanctions on the country,” Parsi added. Incredibly, Parsi tries to also blame the U.S. President for Iranian regime’s decision to ramp up its missile program; ignoring the fact the regime’s missile program was begun a decade ago with technology licensing agreements with North Korea and fully funded by illicit oil sales. It is a blatant example of how the Iran lobby tries to rewrite history to protect the Iranian regime after it acts to toss away the international agreements it signs. 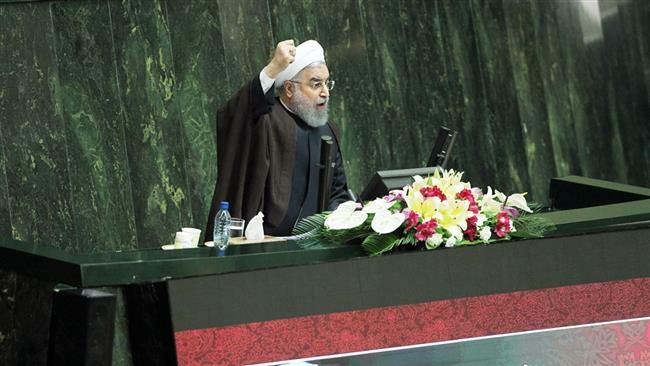 Rouhani’s remarks to Iranian regime lawmakers were his most direct warning that the deal could fall apart and risked ratcheting up tensions with the United States. While most media focused on Rouhani’s threats, virtually no one picked up on the key inconsistency he made which is that Iran could “quickly” build nuclear weapons. This simple declaration proves the biggest lie offered by the regime and Iran lobby supporters such as Parsi: the nuclear deal did not push back the much-debated “breakout” period for Iran to build a nuclear device. “In an hour and a day, Iran could return to a more advanced (nuclear) level than at the beginning of the negotiations” that preceded the 2015 deal, Rouhani said. The nuclear deal has been a complete and utter failure. United Nations ambassador Nikki Haley issued a stern and forceful rebuke to Rouhani’s comments and accurately pointed out the problem with the arguments being made by the Iran lobby about saving the nuclear deal at all costs. “Iran cannot be allowed to use the nuclear deal to hold the world hostage … The nuclear deal must not become ‘too big to fail’,” Haley said in a statement, adding that new U.S. sanctions were unrelated to the Iran nuclear deal. What is ironic in all this debating about Iran is how North Korea is widely reviled, heavily sanctioned and appropriately feared by the rest of the world over its ballistic missile program, but in the case of Iran’s missile program, the European Union has struggled to stay mute and not offend the mullahs. Why does North Korea’s missile program drive the world to the brink of striking back, but in the case of Iran, many American partners refuse to criticize Iran? Part of the answer lies in the Iranian regime’s aggressive efforts to open its markets to European firms to make investment and economic hamstring themselves from taking future action against Iran. Another explanation comes from EU policy makers who naively believe in the lies of the Iran lobby and hope for the best while ignoring the evidence of Iranian regime’s extremism. Europe’s reaction is eerily similar to the reaction their predecessors had to the rise of Adolf Hitler’s Nazi Germany in the 1930s. We can only hope the world doesn’t pay again for that same policy of appeasement.